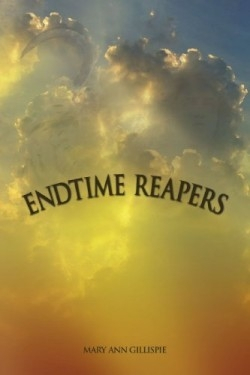 “You shall know the truth, and the truth shall set you free….” This famous line from the Gospel of John greets readers at the onset of teacher Mary Ann Gillispie’s Endtime Reapers. Luckily, the quote rings true as Gillispie’s book actually manages to help readers comprehend the Bible with its practical and straightforward style. Gillispie, who has taught the Bible for more than thirty-five years, is a skilled mentor to those searching for answers in the book of the Lord. This experience, paired with her work in the Christian community as a bookstore owner and radio host, make her a prime candidate to author a book like this one. Many authors have attempted to tackle the book of Revelation and explain its provocative and highly exploitive apocalyptic prophecies, but few have managed to give readers an honest clarification of the text in their own words. Gillispie smartly points out that, “Prophecy of scripture is of no personal or private interpretation.” This is not to say that she fails to ask the big questions—namely “Why am I here?” and “What happens when we die?” Essentially, Gillispie uses scripture to prove scripture, but she never fails to offer her own experiences as they relate to the teachings. The result is a user-friendly guide to the book of Revelation, written in a familiar tone that readers can relate to. Take, for example, Gillispie’s teachings on the afterlife. After offering direct quotations from the Bible related to the Christian belief in eternal life, Gillispie details her own birth from which her mother nearly died and claims to have experienced an out-of-body journey. She goes on to explain the effect of such an event on her own teenage and adult years. While there is no need for readers to fully believe or agree with Gillespie’s ideas, her analysis on the subject of the afterlife is given a heightened sense of humanity that will allow readers to arrive at their own conclusions. Naturally this book is written for religious individuals, particularly members of the Christian Church. However, Gillispie never editorializes or preaches, making this an inviting work for members of any faith interested in furthering their knowledge of the Bible. Endtime Reapers is a thought-provoking read that trumps most recent offerings in the field with its honest discourse and relatable voice.